The Clearwater Beach weather in October is perfect! Early in October, you may see a little bit of rain left over from September. But those days quickly turn into clear skies, with usually only ~3 days seeing rain in October. Not only are their clear skies, but the temperature is great too. The sunny days usually have 70°s and 80°s with the nights dropping into the 60°s. The weather makes it a perfect time of year for lounging on the beach, swimming in the warm ocean water or pool, taking a beautiful walk to Caladesi Island and a great time to attend the fun October events around Clearwater Beach, Florida. Throughout the month of October, there are a lot of events in the Clearwater Beach area. Enjoy a beautiful sunset festival every night at Pier 60. Stick around on Friday and Saturday nights for free outdoor Halloween movies at Pier 60’s Sunset Cinema! Experience live jazz music from famous jazz musicians at Coachman Park in downtown Clearwater. The Clearwater Jazz Holiday lasts from October 18th through the 21st! Stroll along the beach walk on South Beach Clearwater and combine the beautiful beach views with amazing chalk artwork at the Clearwater Beach Chalk Art Festival from October 19th through the 22nd. Combine great music with delicious food at my favorite Clearwater events, Frenchy’s Stone Crab Festival from October 26th through the 28th. The multiday beach party features live music, delicious food featuring stone crab and great drink specials! Despite the beautiful weather and great events, the entire Clearwater beach area is less crowded in October. The beach is far from quiet on the weekends but during the week you’ll easily find a great spot on the beach to lounge or play with family and friends. Off the beach, it’ll be easier to get into restaurants. You may still have to wait for a table, but it’ll be a significantly shorter wait than it would be during the busy summer. If you’re planning to rent some jet skis, go on a sunset sail, or other sunset cruises – you should still call ahead and set a reservation to ensure your spot (especially on weekends!) but overall, these are also less crowded during October! Clearwater Beach is a great place to celebrate a lot of different life events. For me personally, it’s the ideal place to celebrate my anniversary. 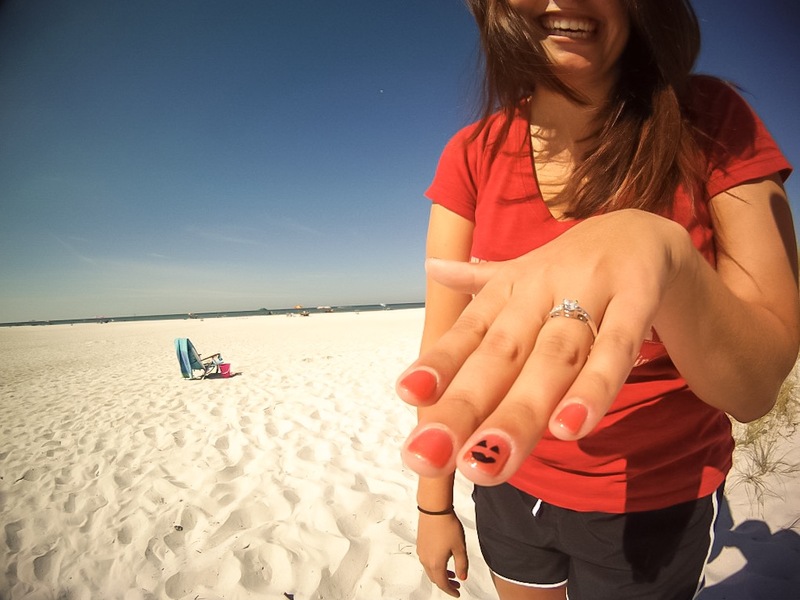 I asked my wife, Nicki, to marry me on the soft sand of Clearwater Beach on October 29, 2013. Just under one year later, on October 25, 2014, we got married back home in St. Louis, Missouri — though we often talked about getting married on Captain Memo’s Pirate Ship. Since then, Nicki and I have celebrated our anniversary in Clearwater Beach, Florida as often as possible! 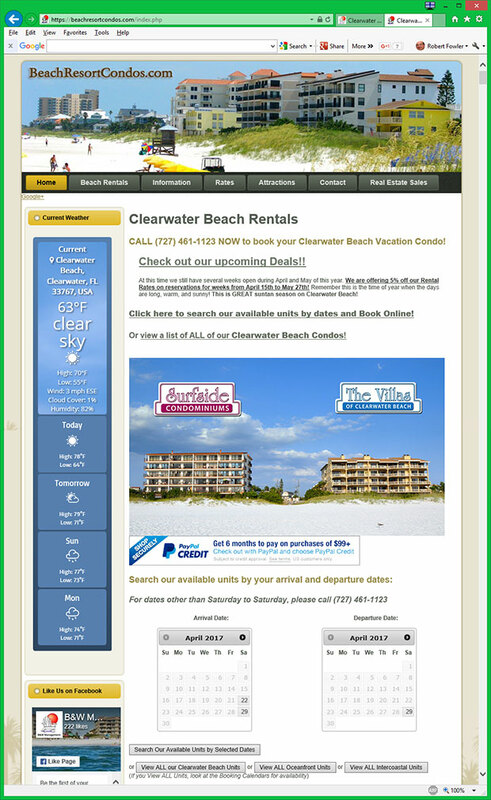 Great information on visiting Clearwater. Although I lived here(St Pete area) in the 70s as a young child, I wasn’t sure the best time to get the best deals, and visit without too much rain. We live in Tennessee full time. We used to just come to the beaches down here in the summer, and fight the crowds, and the Orlando mess in the winter holidays…ughhh. I’m just learning after 100 trips…lol. We are bringing the grandkids and are planning to stay at The Sandpearl Resort, that my daughter has suggested. Congrats on your anniversaries, with more to come. Thanks again for your detailed information.